Goodbye to roller-ball mouse. Nowadays you can use optical mouse, laser mouse, wireless optical mouse or the most advanced -touch mouse. I’m still with my optical mouse that I bought about three years ago. The technology of optical mouse was first introduced by Agilent technologies in 1999. It helped a lot; since it doesn’t require maintenance and cleaning that needed on roller-ball mouse. 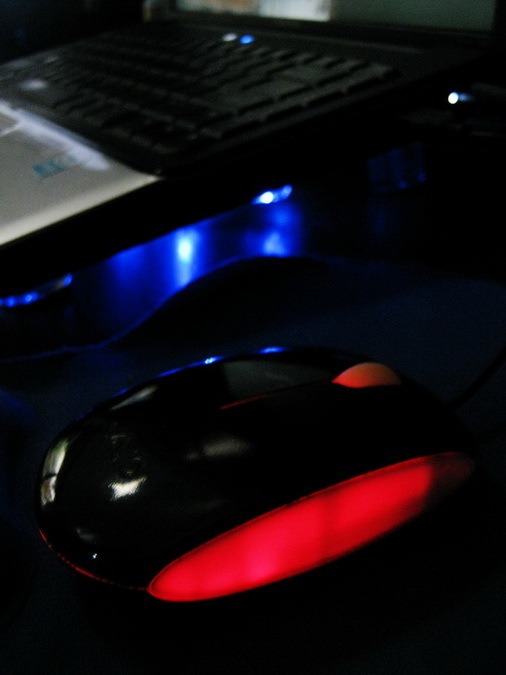 Optical mice engines use a LED light to track the cursor on the computer screen, while a laser mouse uses laser-imaging technology. A touch mouse is based on Blue Track Technology that allows you to track from almost everything –your leg or your chair’s armrest (source:google). What type of mouse that you use right now?